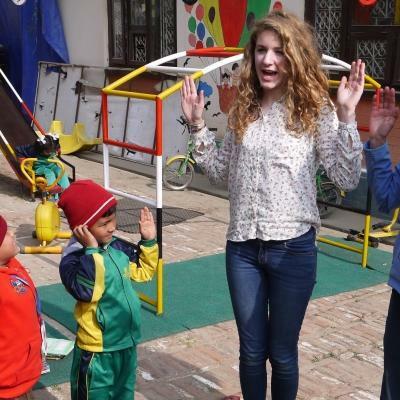 Volunteer on a Childcare Project with Projects Abroad and help children in developing countries. When it comes to making the world a better place, there is nothing more important that giving young children the education and encouragement they need. 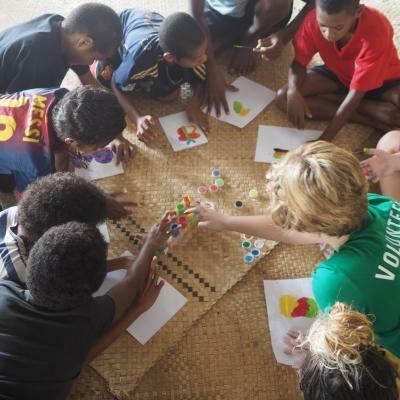 There are a huge number of ways Projects Abroad Childcare volunteers can provide this for the communities they travel to. You could do volunteer work with children in a kindergarten, school, special needs centre, or care centre for mothers and babies. 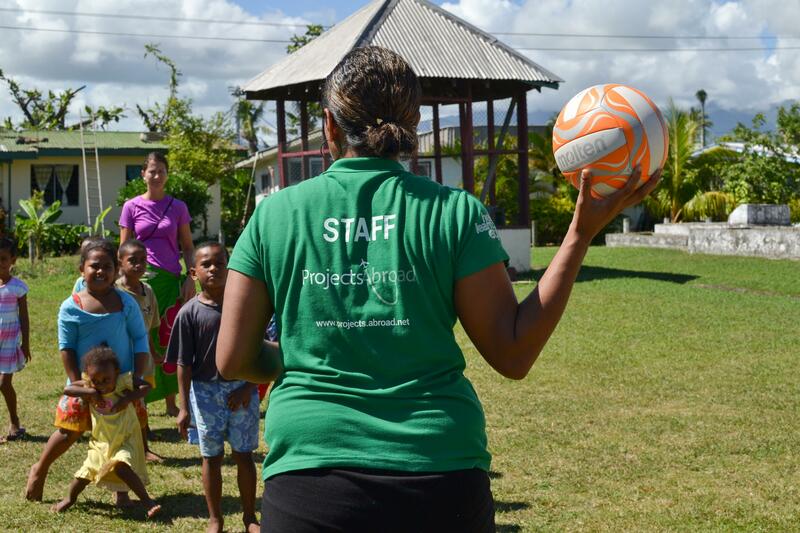 Wherever you are placed you will be part of a team working to make sure that some of the world’s most disadvantaged children have a better start in life. All these projects are designed to bring sustainable, useful help to communities that really need it. 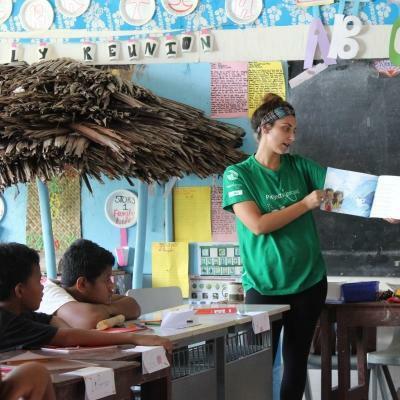 You’ll be immersed in the local community, working alongside Projects Abroad staff and fellow volunteers. You’ll learn about Early Childhood Development and the benefits of long-term community based care. 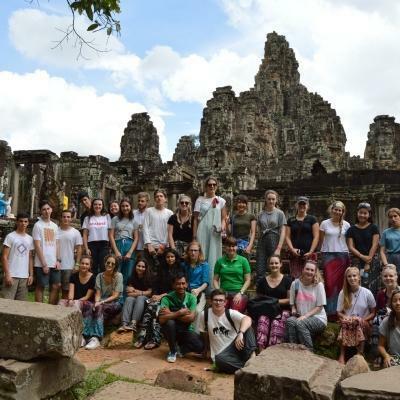 This experience is a safe and sociable way to give back to vulnerable communities, while building your own confidence and understanding of global childcare issues. Is volunteer work with children right for me? 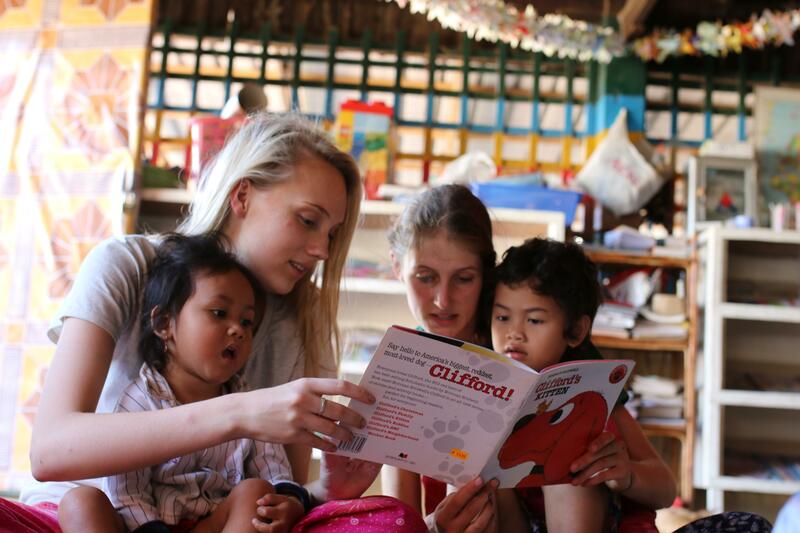 Our Childcare Projects are ideal for volunteers who care deeply about helping children in developing communities. You don’t need previous childcare experience, just the drive to help every child access the care that many of us take for granted. Every project is different – but each is designed to bring the most help to the people who need it. Your tasks will be focused on the long-term benefit to the children you’re working with and their families. This could include evaluating motor and social skills, and running fun activities like sports games and arts and crafts. If you’re interested in working with children, but feel a Childcare Project isn’t right for you, you may be interested in our Teaching or Social Work Projects. 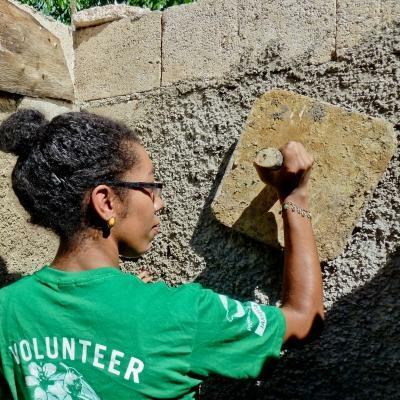 Read our full list of projects for volunteering abroad. What will I gain from doing volunteer childcare work? Soft skills like teamwork, leadership, resilience, organising, planning, and time management. Experience in childcare and Early Childhood Development (ECD). Early childhood development, educational support, and specialised therapy can be areas of real need in developing countries. In many communities around the world, children and those with special needs – some of the most vulnerable groups in society – lack access to these services. By doing volunteer childcare work, you can be part of our long-term mission to change this and make the world a better place. 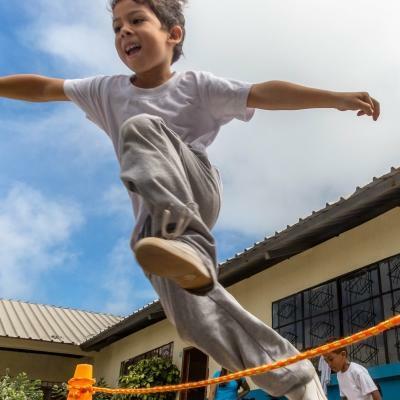 How are Projects Abroad’s Childcare Projects different? We don’t expect our volunteers to be education or childcare experts. 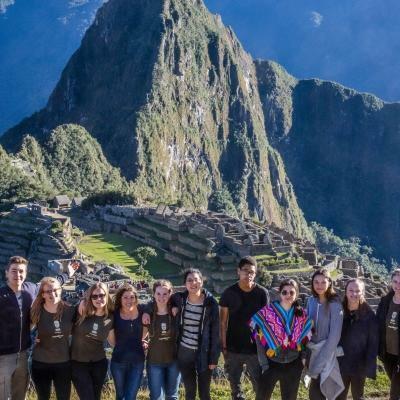 On these projects, you’ll work alongside members of the local community and Projects Abroad staff. They will help you plan your work and be on hand to advise you as and when you need help. You’ll also be part of a wider network of volunteers. In each project, there is a full-time member of staff who job it is to support our volunteers. We created a Global Impact Database so we can track the positive impact our projects have. This is a secure and anonymous database that we use to identify specific areas of need. We can also monitor individual children in our projects to track their development. 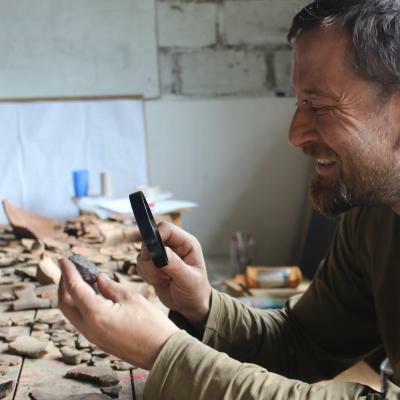 All our projects are well researched, targeted, and sustainable. We aim to make a difference to the local community for the long term. We are about a lot more than pitching up and pitching in. 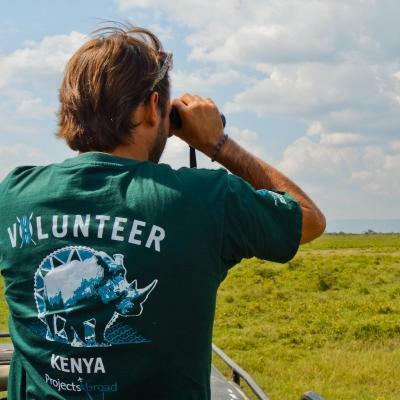 We stand apart from other volunteering projects, as we are guided by annual reviews and thorough needs assessments which are brought together in our Management Plans. For us, bringing this level of professional strategic thinking to each project is a crucial part of making sure that our volunteers and the communities we serve both get the outcomes they need. 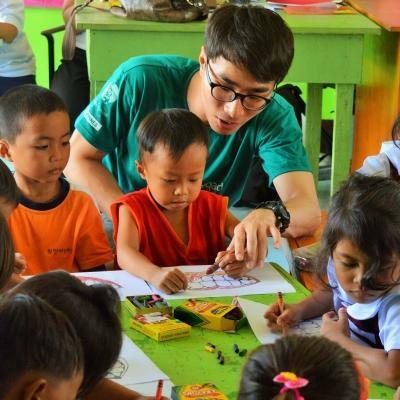 Over the years, our volunteers have worked with children at orphanages and residential care homes. 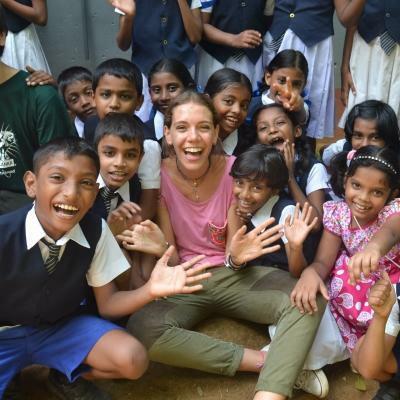 They have done incredible work at these placements, improving living conditions there and creating opportunities for children by supporting their education and care. However, we have decided to move our focus away from orphanages and homes toward community and family-based care. This is because we believe stable family environments are best for the children we work with. This means that instead of volunteering in orphanages, our volunteers work in placements like day care centres, kindergartens and schools, or support groups for the elderly and mothers and babies. This helps Projects Abroad build stronger relationships with local communities and – most importantly – help families stay together and flourish. 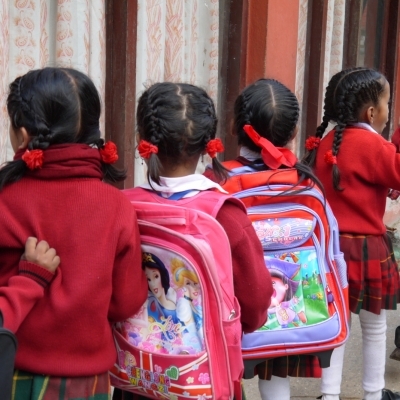 Find out more about Projects Abroad’s views on orphanages here.